In the world of martial arts and self-defense, a great knife has always been the difference between getting away safely or not. Something small and comfortable to handle, but still deadly enough to either wound your attacker or put them down if that is what is required to do in a specific situation. Havoc International and Flagrant beard have combined to add their military knowledge and tactical skills to create the revolutionary Flagrant Beard FBFHAV01-BRK Havoc Neck Knife. This lightweight knife looks much like the karambit and it is designed to inflict deadly pain and ensure that you can get away from a potential attacker. In this article, we take a deeper look at the Flagrant Beard FBFHAV01-BRK Havoc Neck Knife and learn about some of the features that have made it stand out from the rest of the competition. We look at how it was constructed and with a lot of research, we can find out whether it actually works well in the world of combat. Nowadays, nowhere is actually safe and we can be attacked virtually anywhere. While a firearm is an excellent way to protect yourself, the knife is great for quick reactions and hand to hand combat. Weighing less than 1 pound and with a length of around 6.625-inches, the Flagrant Beard FBFHAV01-BRK Havoc Neck Knife is small enough to be carried along as your EDC, provided it is in its sheath. It comes with a skeletonized handle and once you put it in your hands, you will notice that your hand can almost close around it with ease. This gives it an ergonomic fit, while the knife also includes a finger ring that will allow you to use it with more control and reduce the chances of your hands slipping forward to actually create some damage to yourself. 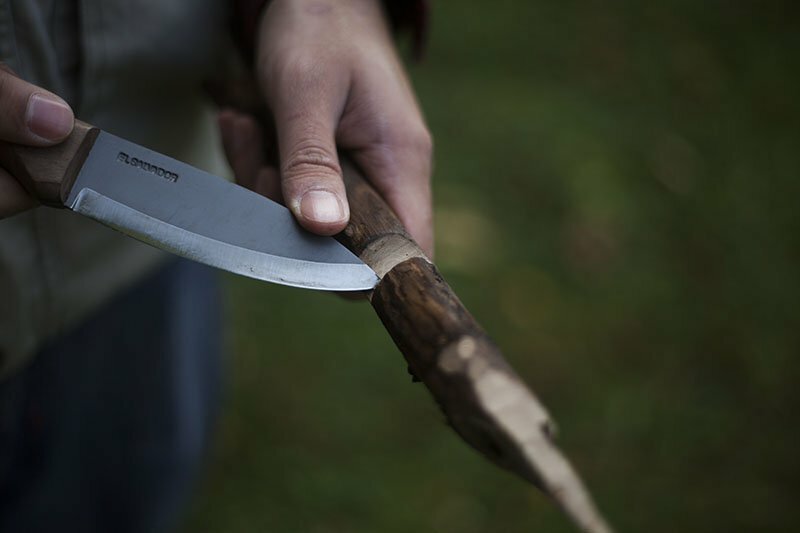 While the handle is completely ergonomic, the knife has been designed with a neck before you reach the blade. It adds to the overall control the user will have when wielding it and it makes it possible to slice instead of stab. However, the 2.375-inch blade does penetrate quite deeply if you are in a situation that forces you to stab. The Kydex sheath offers great protection and makes it possible for users to carry the blade along during everyday ventures. 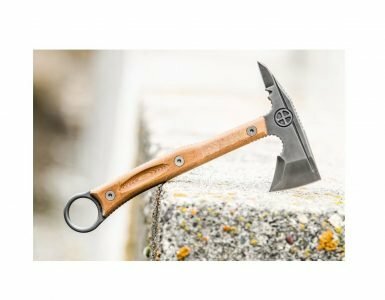 It has been constructed from 1095HC steel and this is the same quality steel that is used for the top tomahawks, which means the knife can be used for cutting your way through the woods as well or even constructing shelters when lost in the woods. 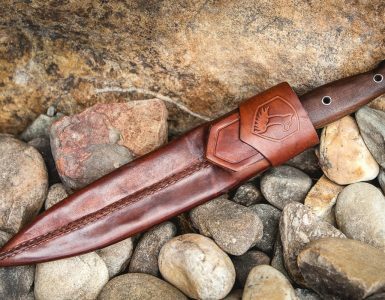 This knife is mostly designed to be used by military personnel. Since the knife itself is small and easy to conceal, it allows for defending yourself when unforeseen situations do occur. However, an additional glass breaker is added to the back of the knife and this will help you get into places you might have locked yourself out of. If the knife has been mounted correctly on your clothing, you will definitely notice how much easier it is to draw the knife from the sheath. Having the ring added will make it possible to use it in all different positions and your hands will always be protected. Using it, we found that the draw action is smooth and natural and does not require any practice. While the knife itself can do a lot of damage, it is always wise that you have some professional training before you start wielding it. Please note that certain states and countries prohibit certain knives. In professional martial arts, the knife is used as a training tool to help users understand how to inflict the most damage. It is quite a versatile tool that can be used for a variety of tasks in the outdoor world and for self-defense purposes. Buying this blade will definitely depend on its intended use. It might not be for everyone. If you only need one for doing small and minute tasks around the home, you might not want to spend as much money. However, for self-defense purposes, you’ll want to spend the little bit extra. Having a small knife like this is ideal. The knife itself is not that expensive and we have seen much more expensive knives in the tactical world. However, it can definitely be a little expensive for a beginner to use and the knife itself is designed to help you get out of those tricky situations. If you are willing to take the time and do some training, this knife can be a real lifesaver in the right situation. Having used the Flagrant Beard FBFHAV01-BRK Havoc Neck Knife has taught us so much about the world of hand-to-hand combat and how to make sure that you are sufficiently protected from perpetrators. The knife itself is rather small and we would definitely recommend it to anyone in need of some protection and something small to help do this. Let us know in the comment section if you have had the opportunity of using this knife and how it worked for you. We would love to see what tactical experience you have had and be sure to suggest any other great tactical knives you would like to see reviewed. Enter your email address to subscribe to Camp4 and receive notifications of new posts by email. Copyright © Created by Camp4.